Today the name of the Elder Nikolai Guryanov is familiar to thousands of people both in Russia and abroad. He is one of the most beloved and venerated spiritual teachers of the twentieth-century Russian Orthodox Church, who supported it during the difficult times of the open persecution of Orthodoxy. But once everything was different: Batiushka belonged to a generation of confessors who suffered persecution from the authorities, imprisonment in jails and camps, and exile for their faith and fidelity to God. After his release, he spent years in obscurity, labors, and prayer on a remote fishing island. Fr. Nikolai did not leave behind him a vast spiritual heritage or works on asceticism or theology, but his brief words and simple instructions equally touch the hearts of both “commoners” and “wise men.” He became someone who influenced the beginning of many people's path towards God. At the end of May 1909 – or, according to another source, 1910 – a boy was born to a devout family of merchants in the village of Chudskie Zakhody, Gdov district, St. Petersburg region. He was baptized with the name of Nikolai in honor of one of the most venerated saints in Russia: Saint Nicholas the Wonderworker, Archbishop of Myra in Lycia. He was the third son in the family and seemed no different from his older brothers ­ but for him a special path awaited. 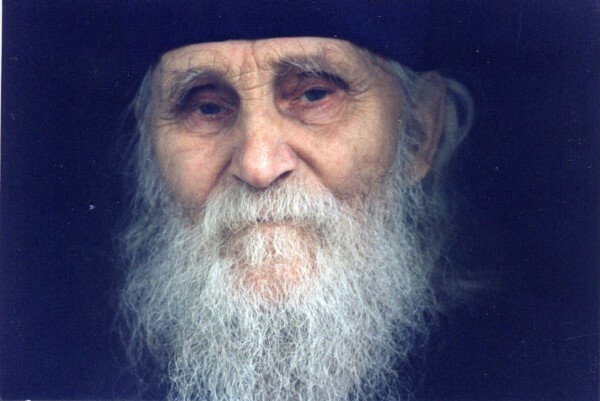 Years passed, and he would find himself among the Orthodox priests that miraculously survived the twenties and thirties: Schema-Archimandrite Zacharias of the Trinity–Sergius Lavra, Schema-Archbishop Antonius (Abashidze) of the Kiev Caves Lavra, the Righteous St. Aleksy Mechev, the Elder from Moscow, Archimandrite Seraphim (Tyapochkin), the Hieromartyr Amphilochius of Pochaev, and the newly-departed Archimandrite John (Krestiankin) are just a few of the most well known. All of them shared the lot of confessors and were found worthy of lofty spiritual gifts by God. Their clairvoyance – the ability to predict future events or, sometimes, their knowledge of people’s past mistakes – and the gift of healing and exorcism attracted the faithful from all over Russia. It has been handed down that the young Nikolai Guryanov had quite a strong personality and that it was an effort for him to maintain his self-control. But it was to him that his father once pointed, turning to his mother: “Katherine, I do not know about them (the older children), but this one will look after you.” His father died young and all of Nikolai’s brothers died in the Great Patriotic War [WWII]. Before him lay the path of the priesthood and taking care not merely of his mother, but of the dozens of spiritual children and hundreds of pilgrims who would visit him from afar. His personal choice between faith and the relative calm that Stalin’s system of government promised to those who would follow the established norms was made before the beginning of the mass repressions, when he was a student at the Leningrad Pedagogical Institute. In 1929, Nikolai was expelled from the institute during his first year for allowing himself to speak against the closing of a church. The road towards higher education was then closed to him, even though he had successfully graduated from the Gatchina Pedagogical College in 1928. Having returned to his birthplace, Nikolai served as church reader and taught math, physics, and biology at school. He was arrested in the 1930s. His imprisonment in the “Crosses” and exile to a camp near Kiev and then to Syktyvkar were the milestones of his path as a confessor. The inmates lived in terrible conditions. In the Arctic Circle, Nikolai was among those who built the railroad. Years later, Batiushka recalled a night when he and other inmates had to stand for long hours in icy water. That night of suffering seemed endless. Prayer alone supported him. In the morning, the guards came and saw that he was the only one who had survived. Nikolai Alekseevich was not mobilized during the war years, due to his leg disorder, which had developed at the time of his imprisonment. Leaving the camp, he taught at schools in the Tosno district and then transferred to the Baltic States following the occupation of the Gdov district. In the war years, an event determining his future destiny occurred. Having been prepared for the “narrow way” of those who serve the Church by what he had gone through, he was ordained a priest in Riga, on February 15, 1942, the feast day of the Meeting of the Lord. 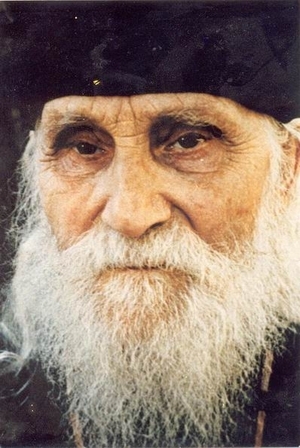 At first he served in churches and monasteries in the Baltic States, but in 1958, he petitioned for transfer to the fishing island of Talabsk following the prediction of an Elder. There Fr. Nikolai spent forty years of his life. Having arrived on the island as an unknown priest, who excited the suspicion of the non-believers, after a few years he became someone whom the fishermen started sincerely and deeply to respect. He, together with his mother, moved to the smallest house on the outskirts of the village. 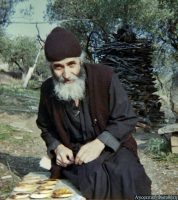 He served in church alone, restored the church on his own, repaired the roof, and baked prosphora. When he had free time, he – without being asked for help – would visit those who most needed his support. The fisherman’s families were left without their breadwinners for long periods of time. The gentle and meek priest helped with the housework, stayed with their children, and helped elderly people and the infirm. Many people remembered his care for their families with gratitude when the head of the household drank. Fr. Nikolai could, for example, take the bottle way from a lurching man and throw it to the ground right away: those who seemed to have been hopelessly ruined accepted his kind word obediently. It was difficult for him at first. Sometimes he felt dispirited, because he served in an empty church for years. He had thoughts of leaving that difficult place. But once, when he had already packed his belongings, a child’s voice stopped him: a very small child, feeling his sadness, suddenly asked the priest not to leave. Batiushka accepted the child’s words as an expression of God’s will and as a reminder of the Elder’s instruction to serve there. Time passed and Fr. Nikolai continued to bear his cross patiently. After a few decades, many little gardens and a lot of green appeared in Talabsk, which had been an almost deserted island when Fr. Nikolai arrived there. Batiushka personally planted and cared for the greenery, carrying hundreds of buckets of water from the lake. Planting greenery on the island was his special ascetic labor. He brought seedlings from the mainland and from pilgrimages, which made up his famous “memory garden,” which reminded him of the places of his imprisonment. He rarely slept: he served and worked during the day and prayed at night. Finally, the “dry soil” blossomed. The following event revealed the people’s attitude toward Batiushka: when a woman from the village wrote under pressure a denunciation against Fr. Nikolai, which could have resulted in another imprisonment, the fishermen expressed their joint disapproval of the woman by not giving her any fish when they returned from fishing. From that time on, people started to come to church. Then, in the 1960s, when the persecution of churches increased, representatives of the local authorities came to Fr. Nikolai’s place and, speaking very rudely, promised they would return for him the following day. Batiushka prayed all night and, in the morning, a heavy storm hit the lake that did not subside for three days. Talabsk became unreachable. After that, when the storm had subsided, the authorities forgot about Fr. Nikolai and did not come for him. In the seventies, people started to come from all over the country to speak with Fr. Nikolai, who began to be venerated as an Elder. Not merely churchgoing people sought his society, but also fallen souls, who felt the warmth of his heart. Once forgotten by all, Fr. Nikolai sometimes did not have any rest from visitors. Being unfamiliar with earthly fame, he quietly lamented: “If only you ran to a church in the same way you run after me!” His spiritual gifts could not have gone unnoticed: he would call strangers by their names, reveal forgotten sins, warn against possible dangers, instruct, and help change people’s lives, establishing them on Christian principles and praying for the severly ill. It has come down to us that the fate of missing people was revealed to the Elder by his prayers. 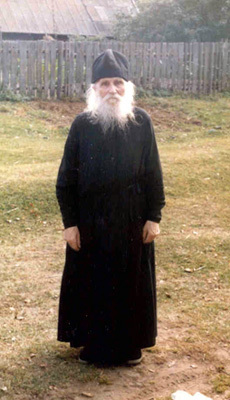 In the nineties, the well-known Elder from the Caves Monastery, Archimandrite John (Krestiankin), said about Fr. 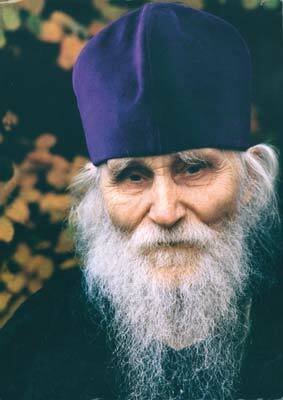 Nikolai that he was “the only truly clairvoyant Elder on the territory of the former USSR.” Fr. Nikolai knew God’s will for man, directing many to the shortest path towards salvation. — and continued to perform the service with perfect calm. His blessings were also wonderful. For example, he foresaw that two people merely acquainted with each other would be husband and wife, or that a “spiritual infant” would become a nun. Once a woman arrived who had been brought to the Church by God through enormous suffering and who had been miraculously healed from a severe illness. All she knew about the life in Christ was gained from a few books, among which was a book about ascetics from the Caucasus. She felt “paradise” in her soul, because she realized God’s mercy towards herself and knew where she should go, which was towards God and in the Church; thus, a “lost coin” was found. With tears in her eyes, she was afraid to say the word “monasticism,” because she felt unworthy. But Batiushka told her: “Well, go to the Caucasus, live in the mountains, and have a look.” She stood there as if the sun had just shone on her. The cell attendants told her: “Kiss the gate. Batiushka has never given such a blessing in all these years! He does not even bless monks to go there!” Until the very end of her temporal life, wearing her monastic mantle, she remembered how it all came together: God sent the money, fellow travelers, and a guide. And even in the mountains, she said, there was no such prayer as there was with him. Her Orthodox “childhood” – the joy when the Lord strengthened her on her every step – was connected with Fr. Nikolai Guryanov and his blessing.